Sophie Barker’s distinctive and critically acclaimed vocal range, paired with her emotional song-writing skills, have yielded world-wide chart-topping singles, million-selling albums and music collaborations with artists as diverse as David Guetta, Zero 7, Groove Armada, The Egg and Robin Guthrie (Cocteau Twins). Having formed her first group at 9 years of age, as a teenager, Sophie went on to write and perform songs with her guitar at venues across the UK. After completing her degree at UCL, she moved beyond her mid-90s record deal with Sony, to join down-tempo lounge wizards, Zero 7, and co-wrote their huge hit ‘Destiny’ with Sia Furler. Her evocative vocal delivery and charismatic stage presence became an integral part of the Zero 7 sound and live show. Capitalising on her fan base, she began to release as a solo artist. 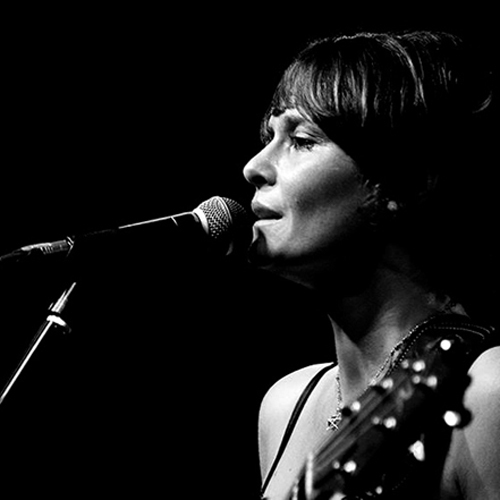 Her first two albums ’Earthbound’ (2005) and ‘Seagull’ (2011) gained support from DJs as varied as Don Letts and Janice Long with radio plays on BBC 6music and Radio 2 among a plethora of other stations. Her long-awaited 3rd solo album, ’Break the Habit’ took 4 years to record but sees her more comfortable than ever in her own skin. Undoubtedly her best work to date, the LP effortlessly flows between her upfront live sound, finely-honed from intense touring and appearances with her band at festivals and venues across the UK and USA, and more atmospheric, mood-driven electronica.